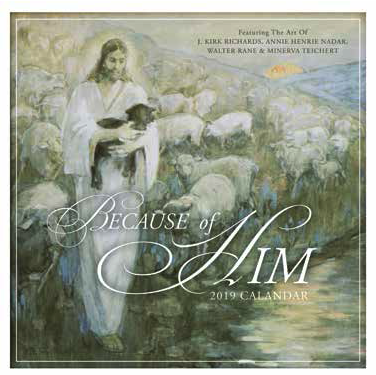 This thirteen-month calendar is filled with beautiful and inspired paintings illuminating the life of Christ. Each month, your heart will be lifted as you reflect on the ministry of Christ and the great blessings we enjoy Because of Him.Featuring the art of Minerva Teichert, Annie Henrie Nader, J. Kirk Richards, and Walter Rane. Small: 6" x 6", Large: 12" x 12".